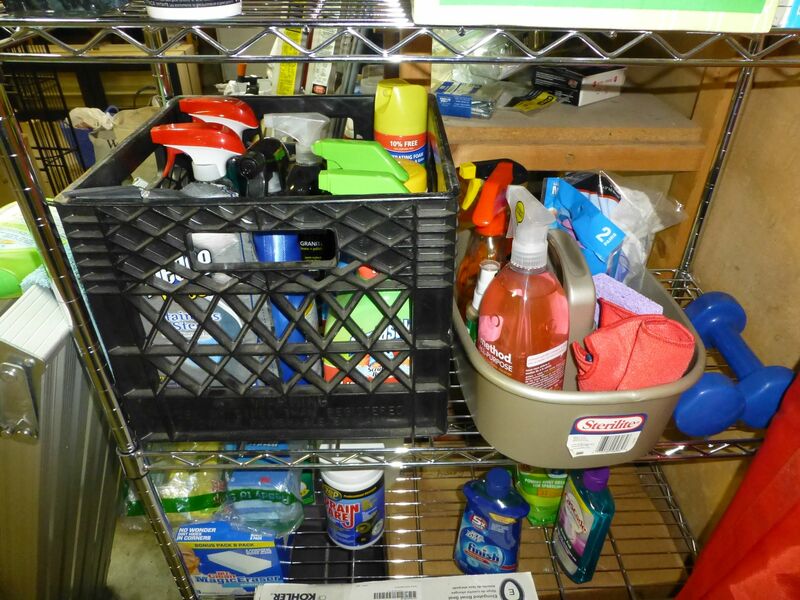 How do you organize your cleaning supplies? Are they all in once central location, organized by room or by task, or scattered about the house or in a pile with no thought behind it at all. 2) I am more likely to clean the toothpaste I find on the bathroom mirror if I have some Windex and a paper towel handy at that very moment. If I have to walk across the house to go get the supplies, I can guarantee you I will get lost and never make it back! 3. Create a cleaning basket for each task such as dusting, scrubbing, floor cleaning and carry that basket to the location that needs to be cleaned. It should contain all the tools and cleaners you need to get that job done. 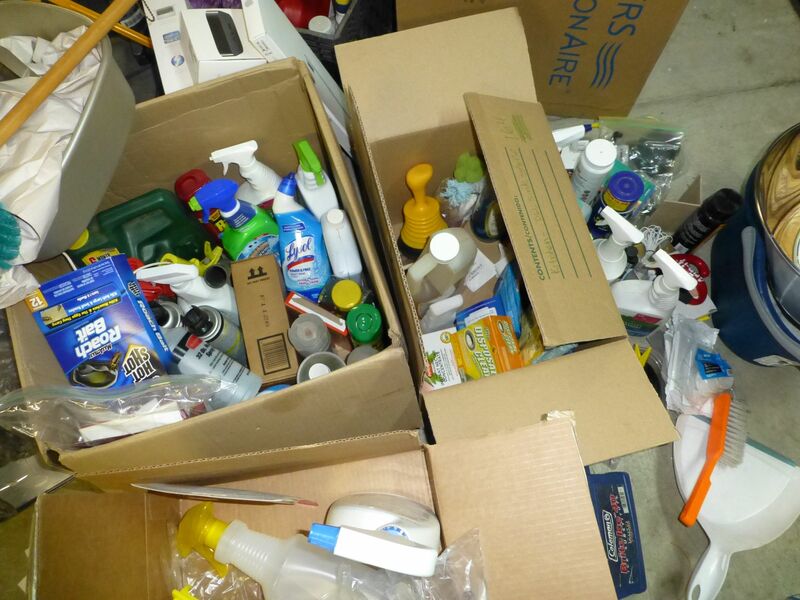 These containers would be kept in one location and used around the house. 4. 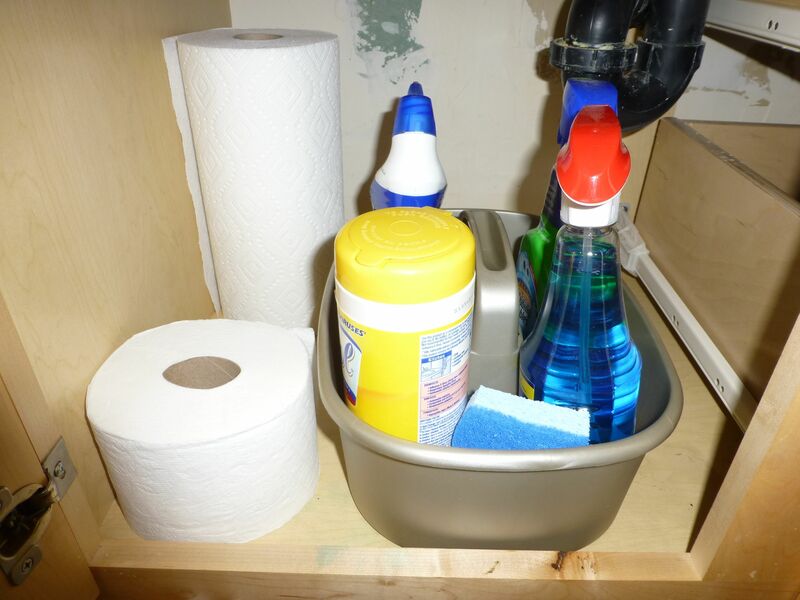 Put together a small container of products to be used in each room and keep it under the sink. 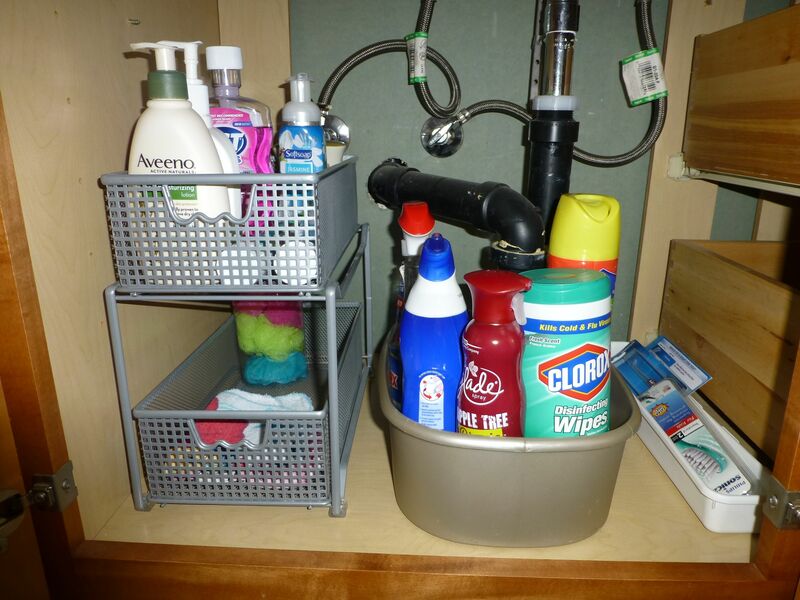 Kitchen supplies in a container under the sink, bathroom cleaning supplies under each bathroom sink. In the end, I didn't do anything magnificent with my cleaning supplies. I simply put a basic cleaning tote under the sink in my kids bathroom and in the hall bathroom (which is right next to the master bathroom). I also included a roll of paper towels. Hopefully that's close enough to grab and get the most basic cleaning done in those rooms. For the moment, I have kept my kitchen supplies simply lined up under the sink. I have a lot of space since we removed a stinky filter and I need to get under there and do a good cleaning. Yes, more cleaning, yuck. I have a storage shelf just inside the garage where I am currently keeping my surplus of cleaning supplies and specialty cleaners I don't use every day. My best suggestion on how to organize your cleaning supplies is to keep it SIMPLE! 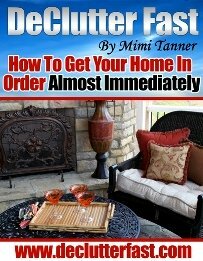 Also, make it work for you and your home. Some of us prefer to have a specific cleaning day, others prefer to clean here as we need it. 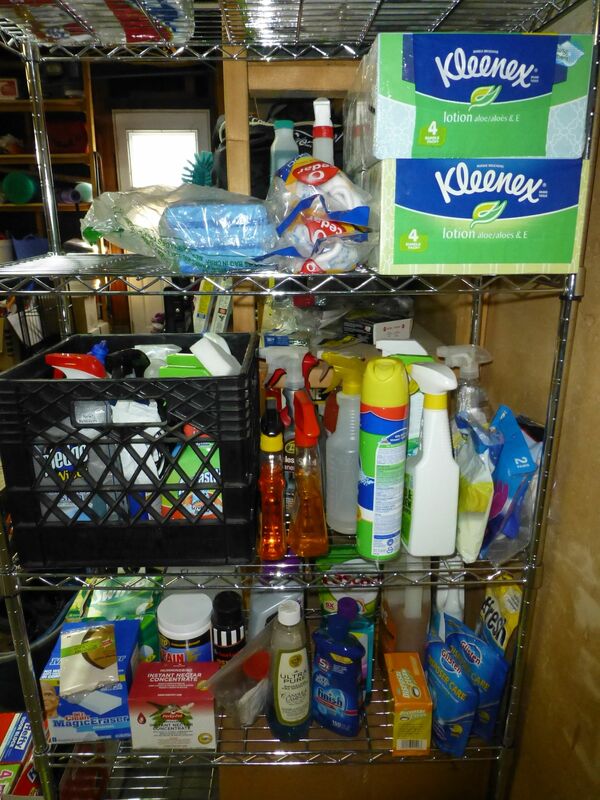 Organizing your cleaning supplies needs to work with your style of cleaning. I hope this was helpful, if nothing more than to peek into someone else's windows and see what they're up to!